REFOCUS discussed Trainee Induction, Green Ribbon month and stigma of mental illness on families recently at their second meeting of 2018. 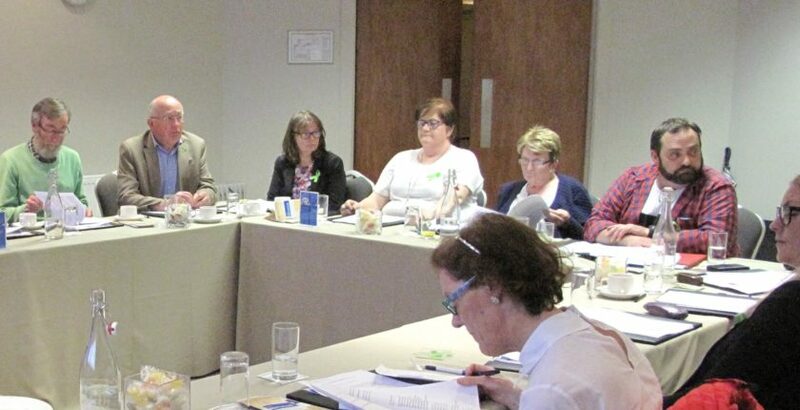 The College REFOCUS (Recovery Experience Forum of Carers and Users of Services) committee held a meeting on June 8th 2018. Through regular meetings and sub group meetings REFOCUS debates issues, writes papers, presents at conferences and attends events of external bodies where the voice of those who use the mental health services and their family members/carers are found to be invaluable. At this meeting Dr Neil Vickers from the Department of English, King’s College London, presented on his research and writing of the ‘Shared Life’, discussing the fragmentation of the family and the huge stigma surrounding them that appears when a family member is diagnosis with a mental illness. The group discussed maintaining a positive perspective as well as coming to terms with a diagnosis is half the battle of living your life with mental illness. They also discussed the importance of family and friends as a support system to help when dealing with mental illness. The Trainee Induction was discussed for the Foundation year bootcamp set to take place in August 2018. Some REFOCUS members will attend and be involved in training activities and discussions. The Green Ribbon Event received great feedback. Members of the committee spoke on their own lived experiences and interacted with the public through a ‘Living Library’, a library come to life in the outdoors, encouraging others to speak out and end the stigma surrounding mental illness. The committee discussed drawing up a position paper on Psychiatric Diagnosis ‘Should we re-think diagnosis’. The recognition of Mental Health Illness as a long-term illness. 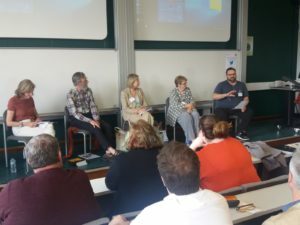 The committee also considered what they would speak on at the upcoming Mind-Reading 2018 Conference at the University of Birmingham and highlighted the need for support for psychiatrists in order to do their jobs properly and for mutual understanding in order to work as a unit. 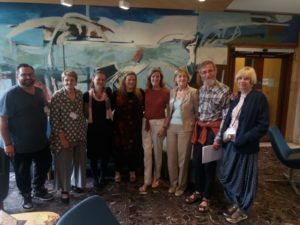 The Mind-Reading conference took place on June 18th and members who attended received very positive feedback.